There is little point having a great looking home that has been freshly painted on the exterior, only to have a roof that looks old, dirty and ageing. It really detracts from the overall look of the house. The new paint job will be forgotten about as all focus is drawn to the shabby roof. This is where having a roof restoration can really spruce up your home’s image, whether your house has been recently painted or not. It’s like the icing on the cake. Your home’s makeover will look complete. A pressure washer is first used to clean the old roof, removing built up dirt and grime and mould. It’s important that the surface is prepared properly before any painting is done to ensure optimum results. In some cases a client will just want their roof cleaned off with a pressure washer and not painted, while others will want both. DR Paint covers both options. We are happy to just clean your roof, or clean it and paint it as well. When it comes to the painting part of the process, we use a product called NuTech; which has been especially formulated for use on rooves and can withstand the harsh climate Brisbane weather sometimes dishes out. Once the roof has been pressure washed and is completely dry, it is coated with a roof primer, and then top coated with the NuTech paint. This paint range comes in a variety of colours and dries to a rubber like consistency (roof membrane), so it will flex when painted over things like tiles and corrugated roof sheeting. Rooves tend to expand and contract under varying temperatures, and this paint is designed to move with the flexing of the roof. It also reflects much of the heat, helping to keep your home cooler in the Brisbane summer months. Whether you plan to get painters in for an entire cosmetic makeover, or just the roof, a quality roof restoration will really help to add value to your home. It doesn’t matter if you are planning on selling or not. 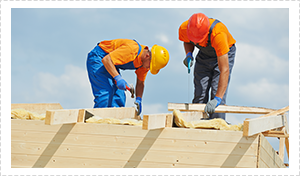 Everyone likes to know that their home has increased in market value, and a roof restoration will really add to the bottom line of what your home is deemed to be worth. Your home will really stand out from the crowd when you have your roof restored by DR Paint. Your neighbours will be in awe of just how good your home now looks. Doctor Paint loves breathing new life into tired old Brisbane rooves. He is not just a general practitioner of painting, he is also somewhat of a cosmetic surgeon when it comes to making your property look its best, and that includes your roof. 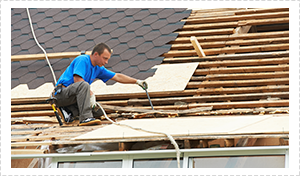 Entrust your roof restoration to a specialist and make an appointment with the Doctor. All quotes are free and there is no obligation. So, give us a phonecall or email us today to discuss your roof restoration project.